After having had the luxury of testing a Nespresso Pixie for two weeks, I got spoiled with the ability to enjoy quality coffee anytime from the comfort of my own home. 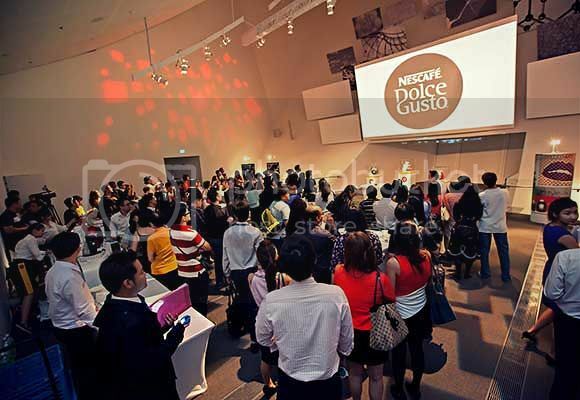 Specially created to suit the needs of Singaporeans, the new Dolce Gusto Genio posesses an ‘Automatic Flow Stop’ feature so to make preparation much easier. 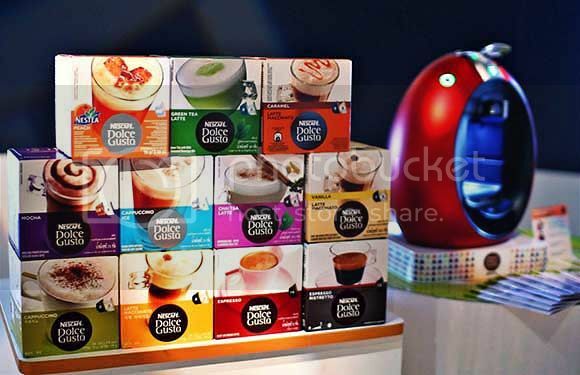 The first generation of Dolce Gusto uses a manual start and stop lever. And talk about variety! 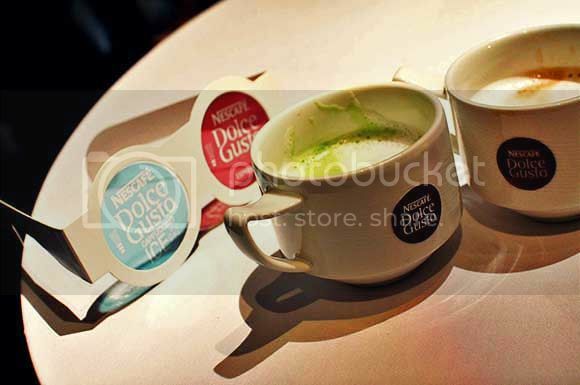 Dolce Gusto really won me over with its many exciting flavours like Green Tea Latte (my favourite! 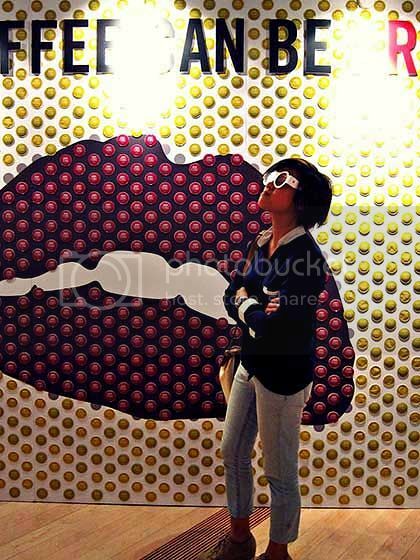 ), Vanilla / Caramel Latte Macchiato, Mocha, Chococino, and the list goes on. Their patented technology even allows the making of cold beverages like Cappuccino Ice and Peach Tea. The catch to such variety lies in the capsules. Conventional coffee machines dispense only espresso (from beans / powder / capsules), and you have to add in frothed milk yourself. 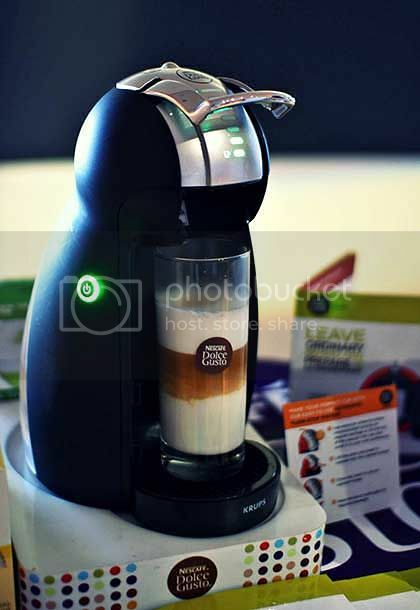 Dolce Gusto is capable of dispensing both coffee and milk from pre-packed capsules so there isn’t a need for a separate milk frother. 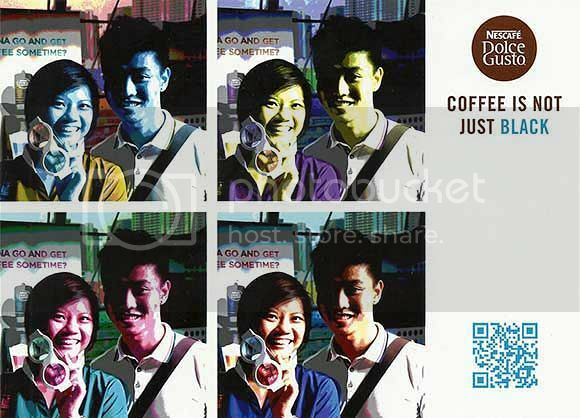 Love this pop art photo collage that Dolce Gusto gave us! The Genio is retailing at $259, the Circolo $339, and a box of 16 beverage capsules costs $10.90 in selected supermarkets and stores island-wide. 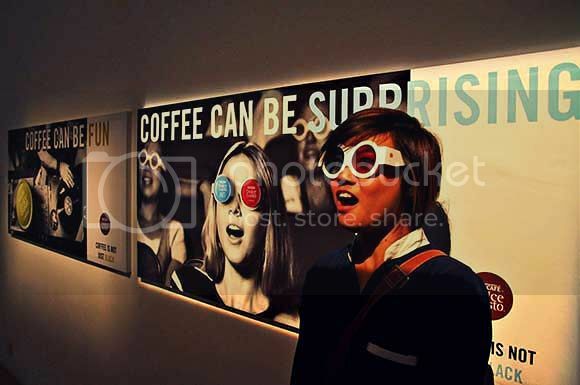 Grab a cuppa fun today!